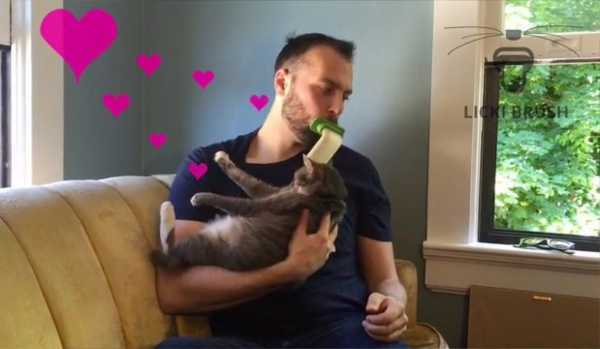 The innovative and weirdly disturbing LICKI Brush allows cat owners to bond with their pets the natural way – by licking them. Since actual human tongues can't hold a candle to cats' tongues in the grooming department, however, the creators of LICKI Brush designed a clever cat-tongue clone made from soft silicone plastic. 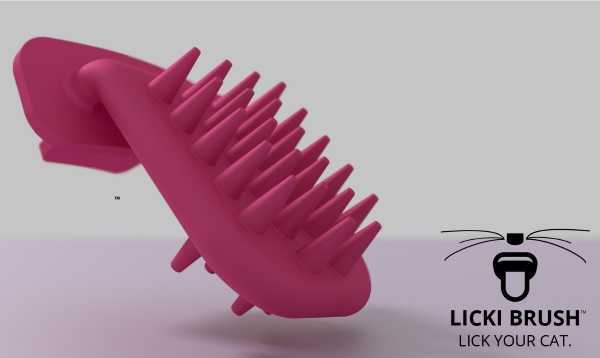 LICKI Brush was designed so that cat owners can engage in social bonding with their pets. If you've ever seen a mother cat gently licking and grooming her kittens, the shared love between mother and child is nearly palpable. As members of different species, humans and cats remain separated by a great divide when it comes to deep bonding... though that may be about to change. Cat got your tongue? Not without a LICKI Brush! Even cats have issues with constant fur-cleaning and social interactions: does the word “hairball” come to mind? LICKI Brush avoids that particular conundrum since you're licking your pet by proxy. Just grip the aft end of the brush between your teeth and let the silicone-toothed “tongue” hang down. You're ready to bond with your cat (or cats) to both of your hearts' content! LICKI Brush isn't quite ready for prime time or retail sale, being (at press time) a Kickstarter project still in the initial fundraising stage. Having exceeded its stated goal by almost 50% with 20 days to go, however, it's likely LICKI Brush is destined for a spot on your favorite pet supplies store shelves sooner than you'd think. *** UPDATE on March 3rd, 2019: The LICKI Brush crowdfunding campaign was a success! Order your very own LICKI Brush from their Kickstarter page!